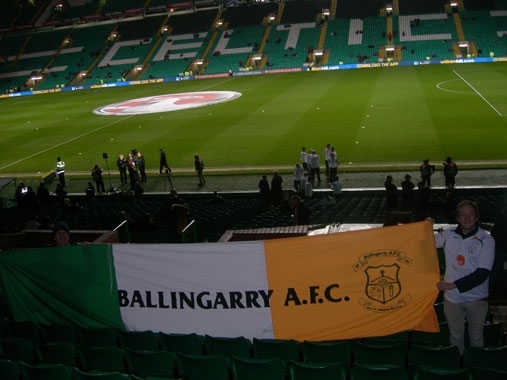 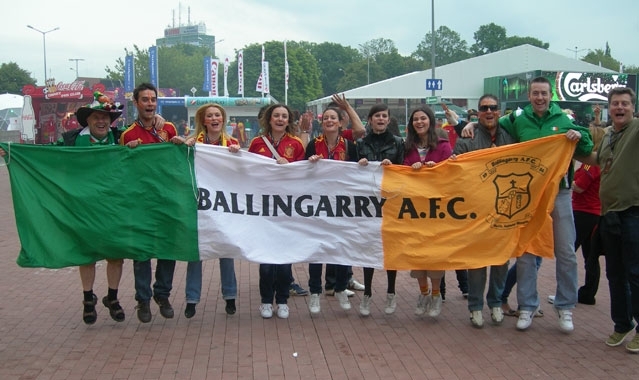 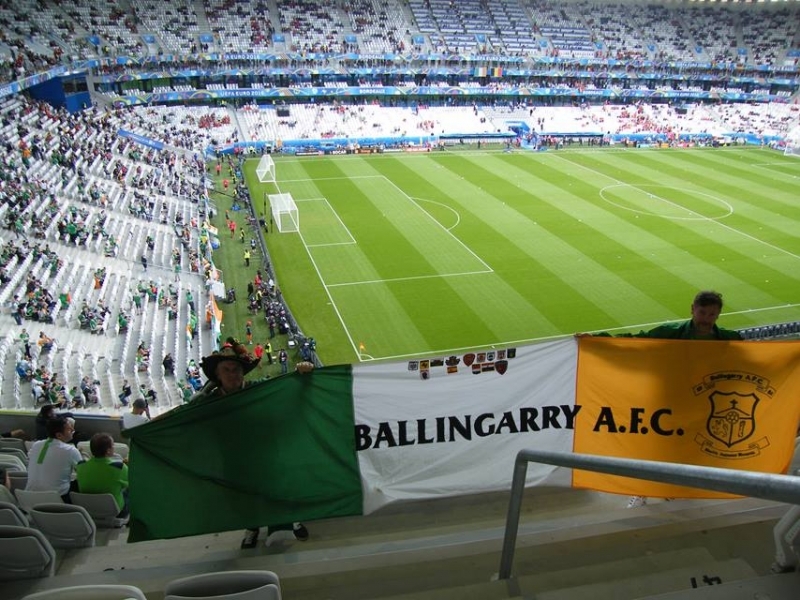 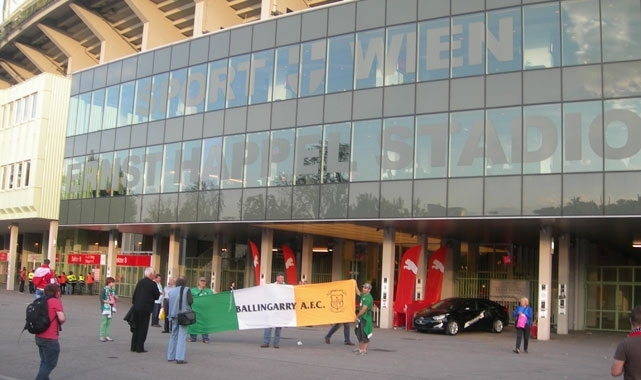 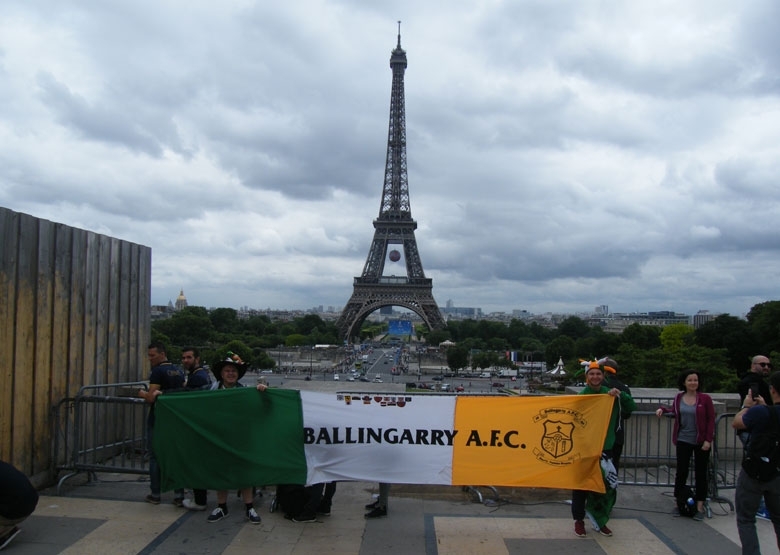 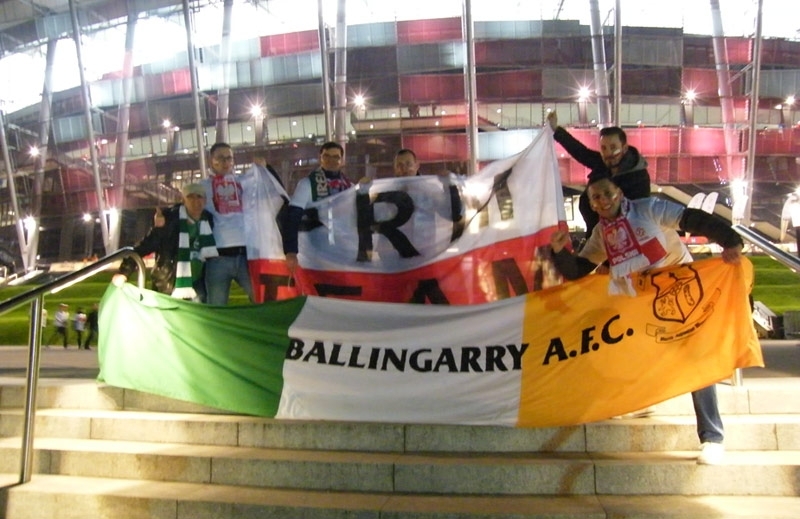 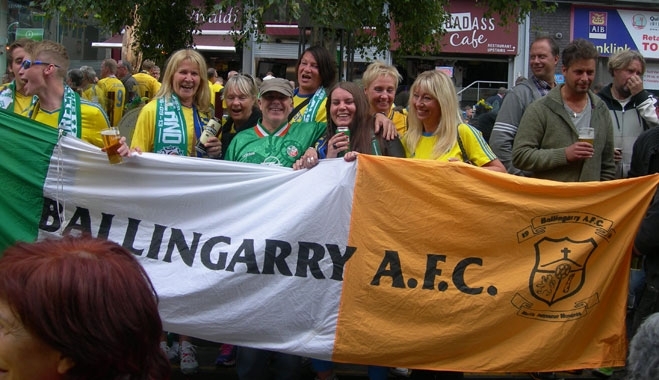 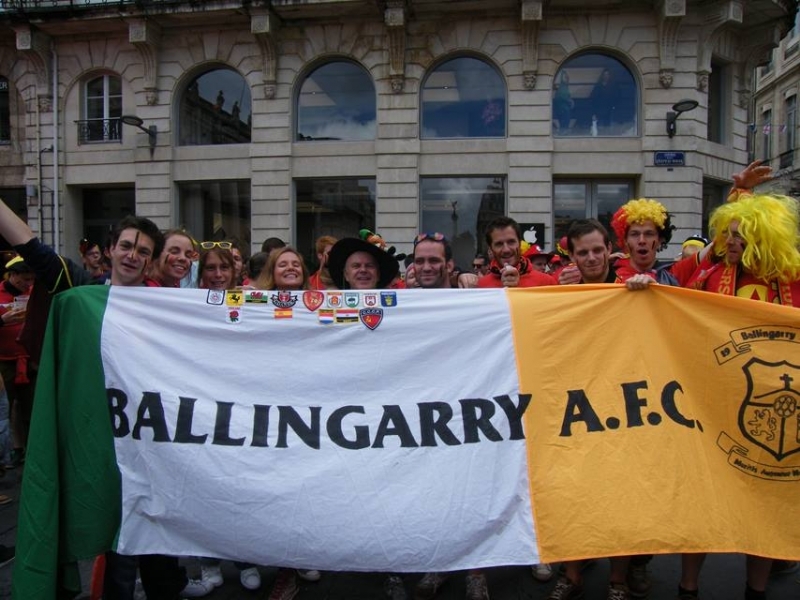 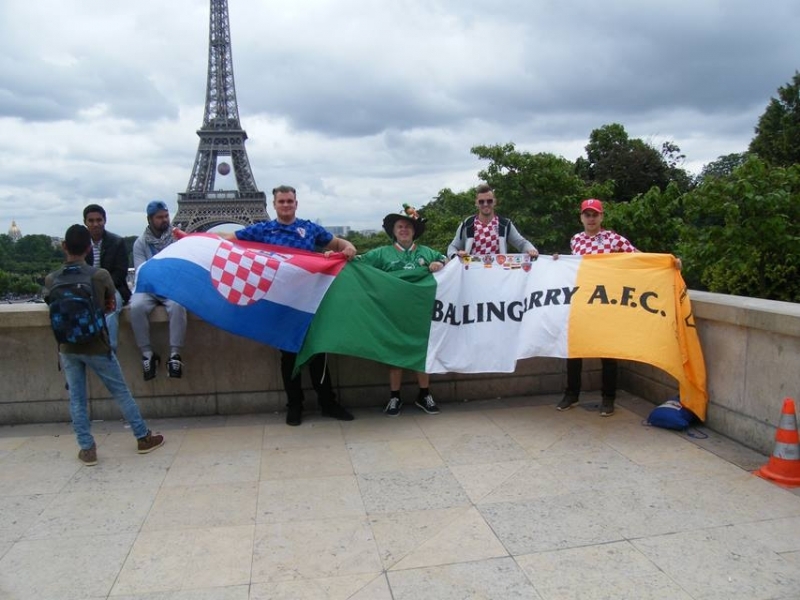 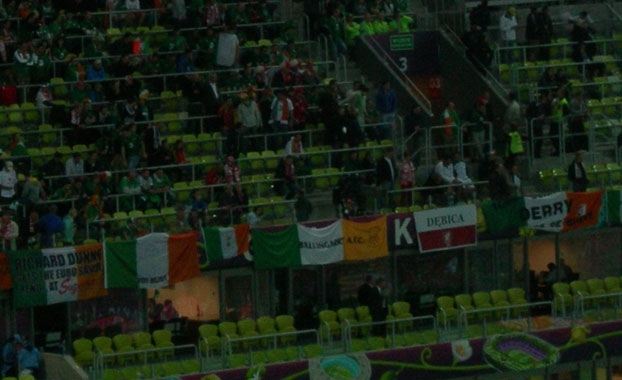 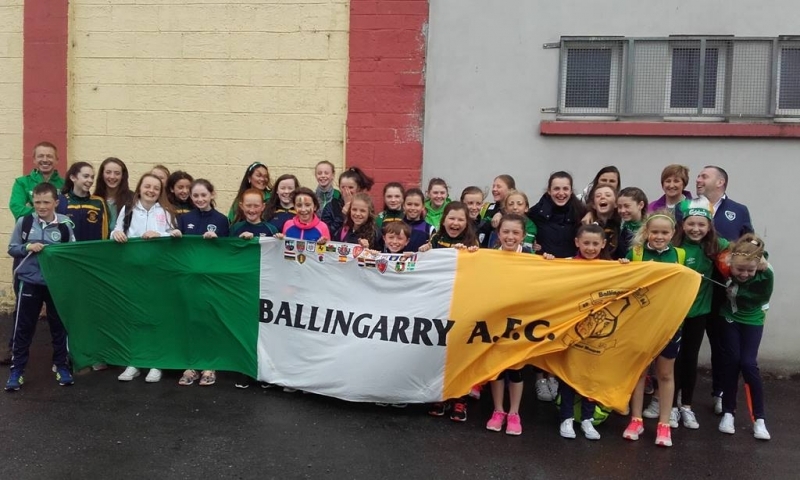 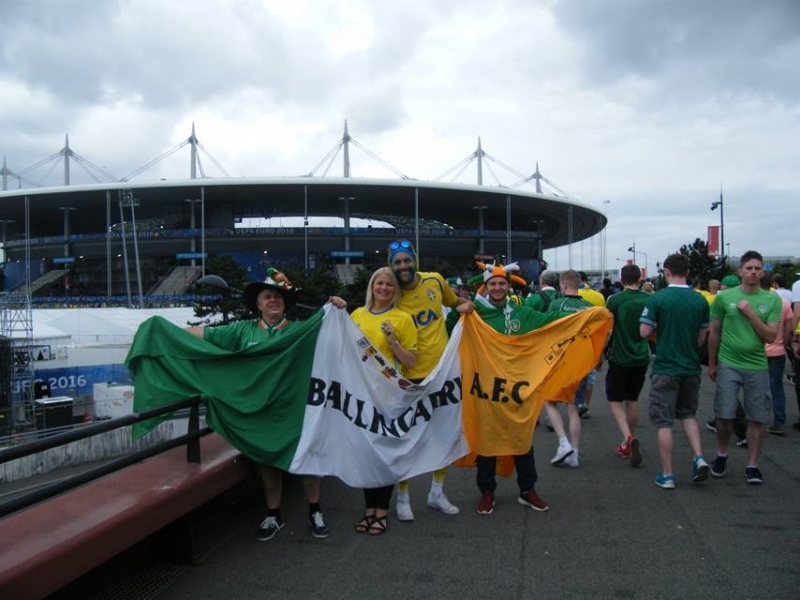 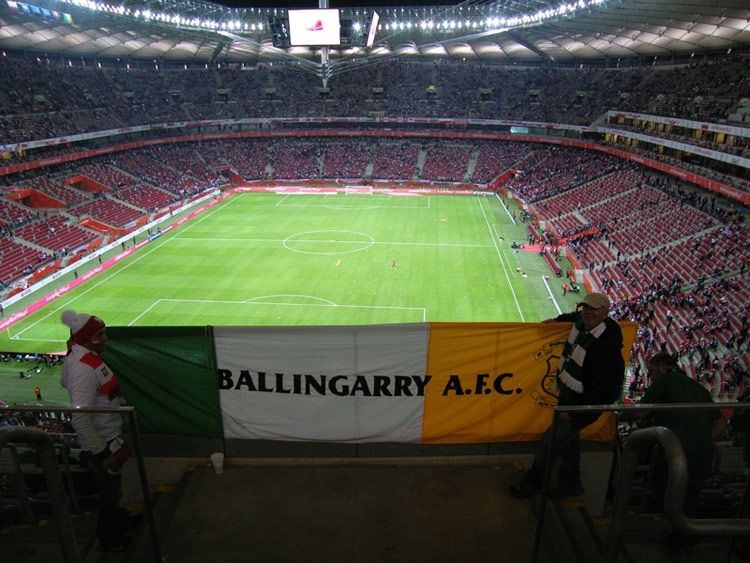 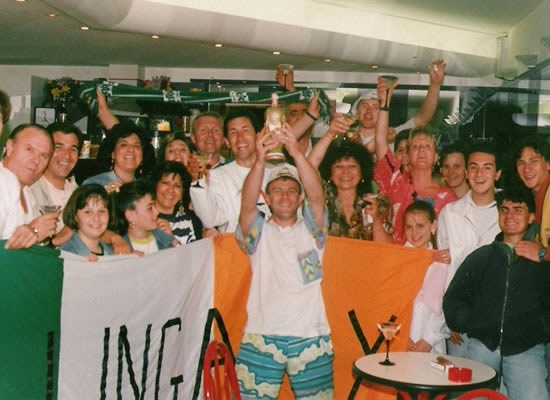 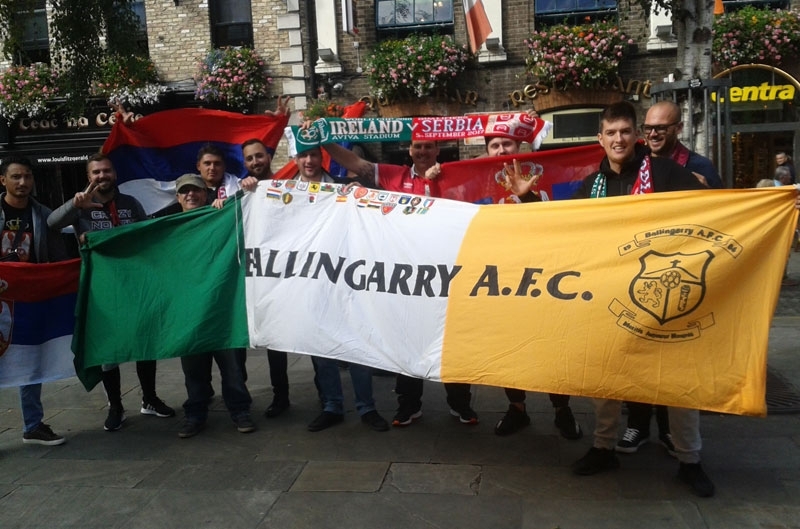 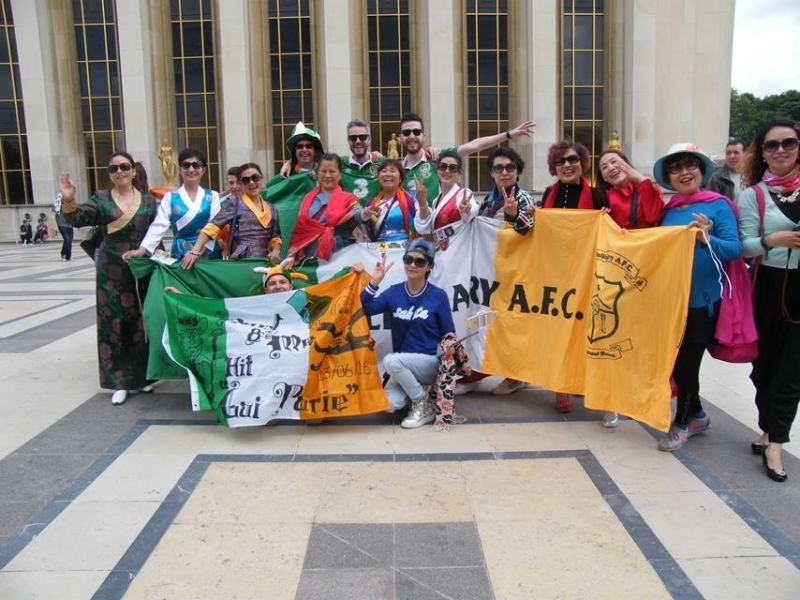 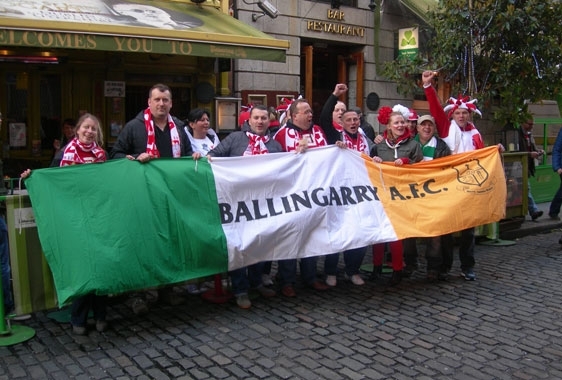 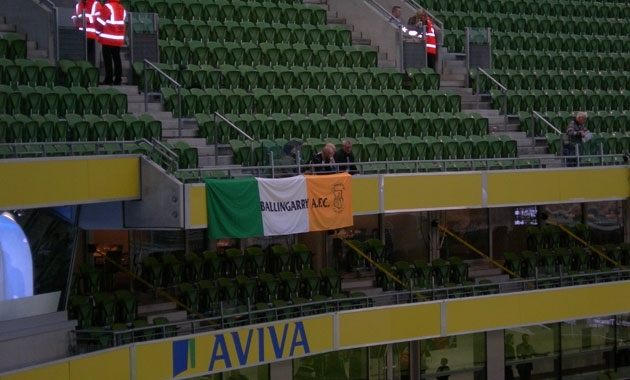 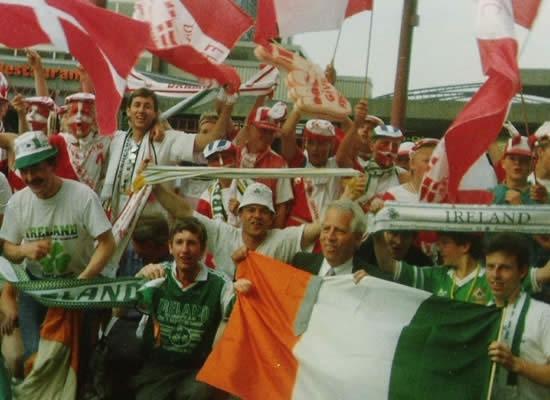 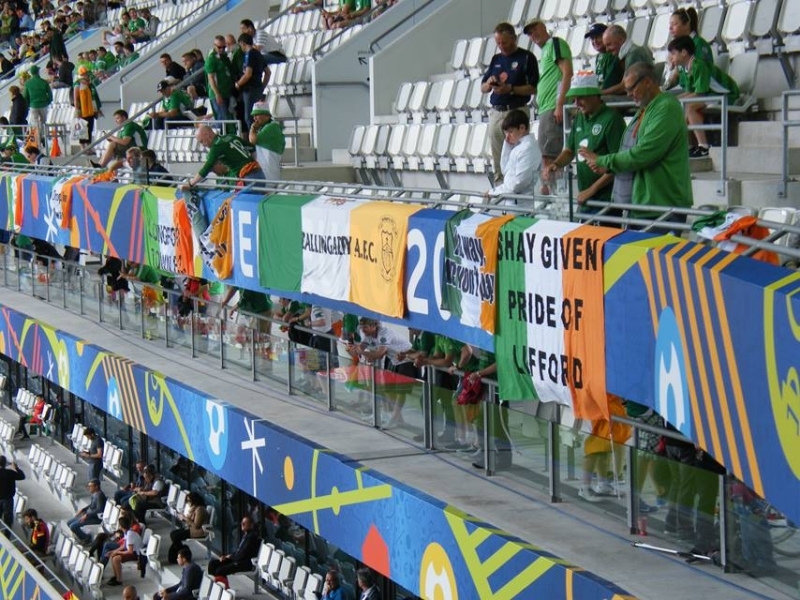 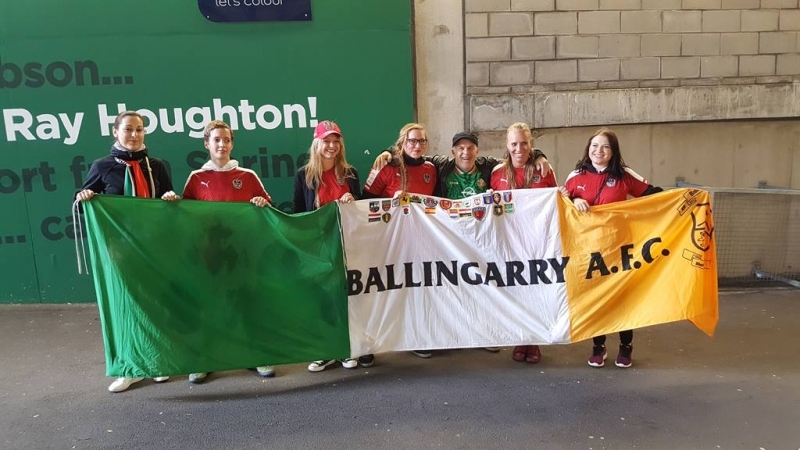 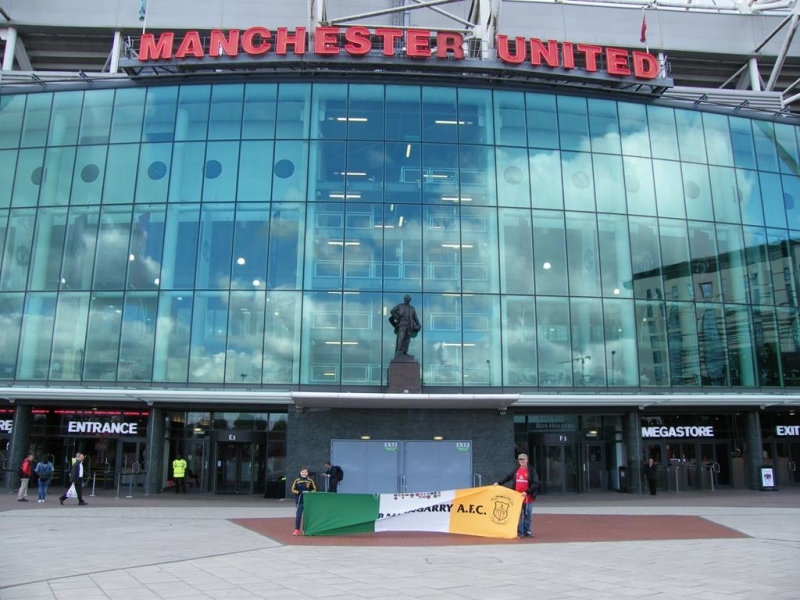 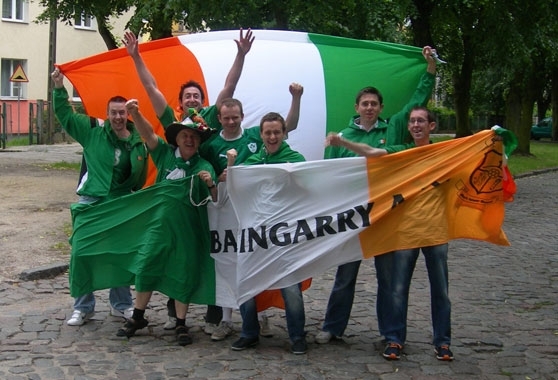 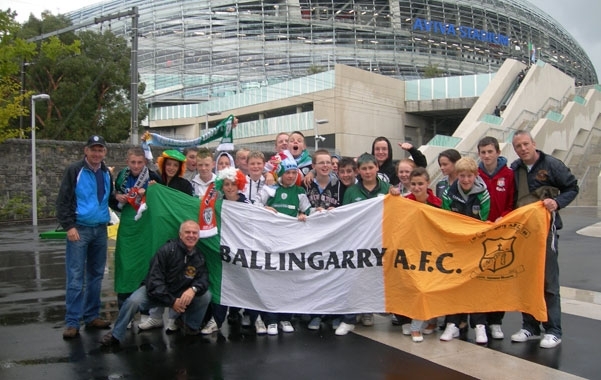 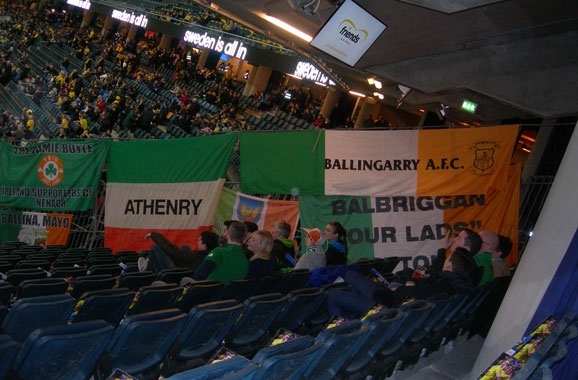 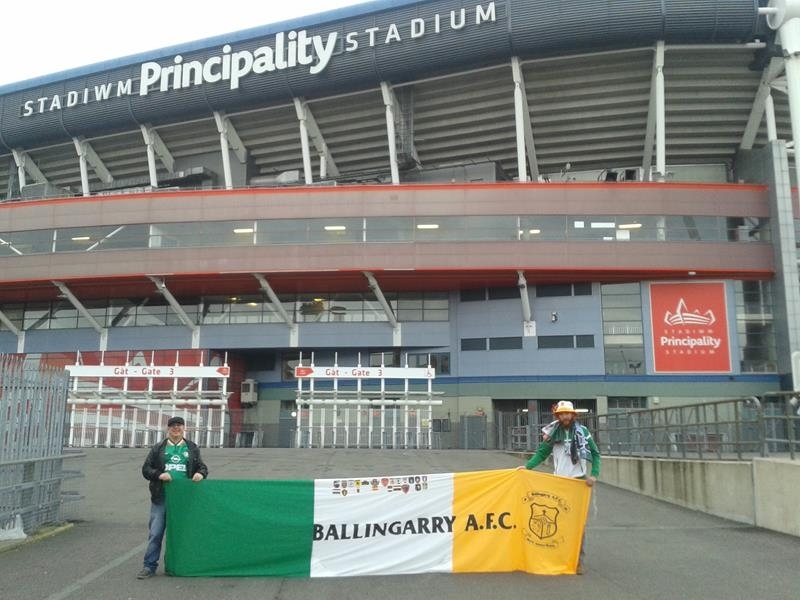 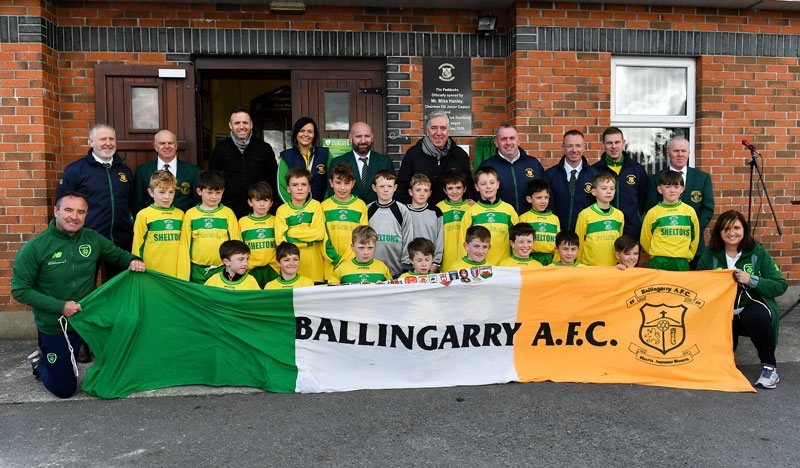 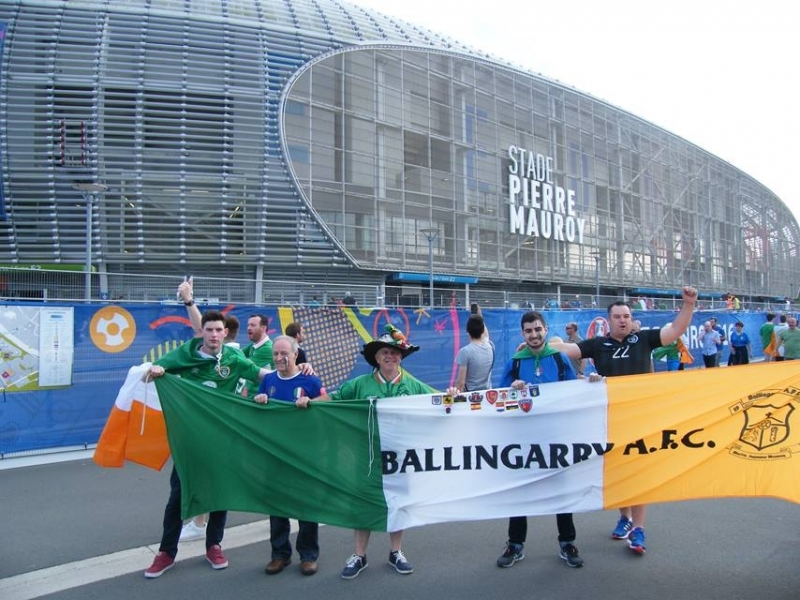 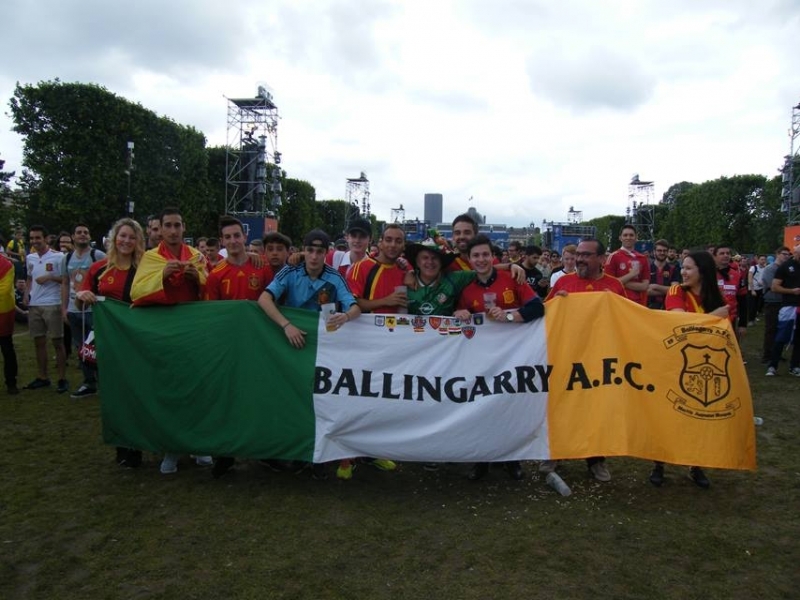 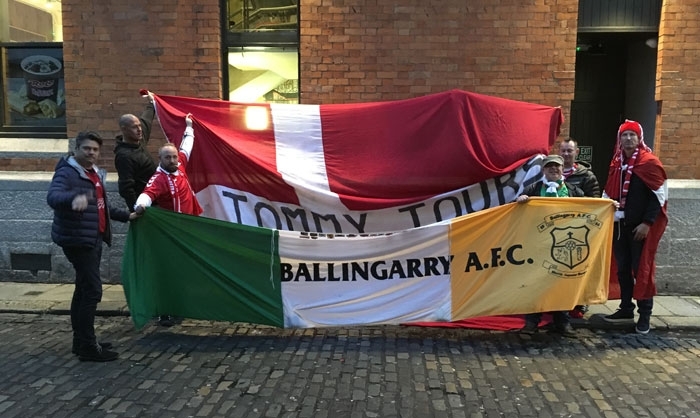 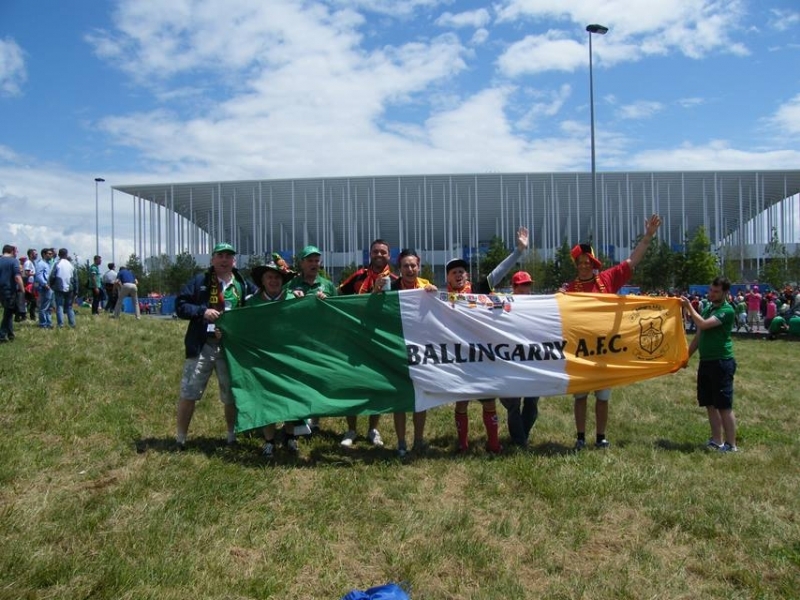 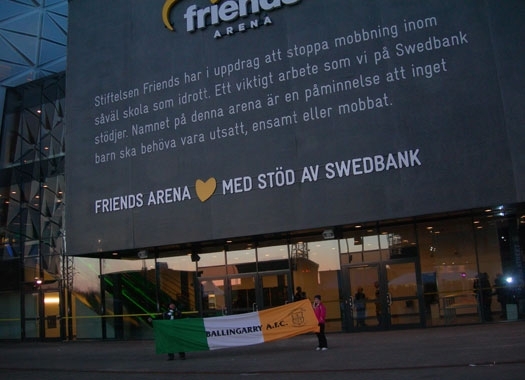 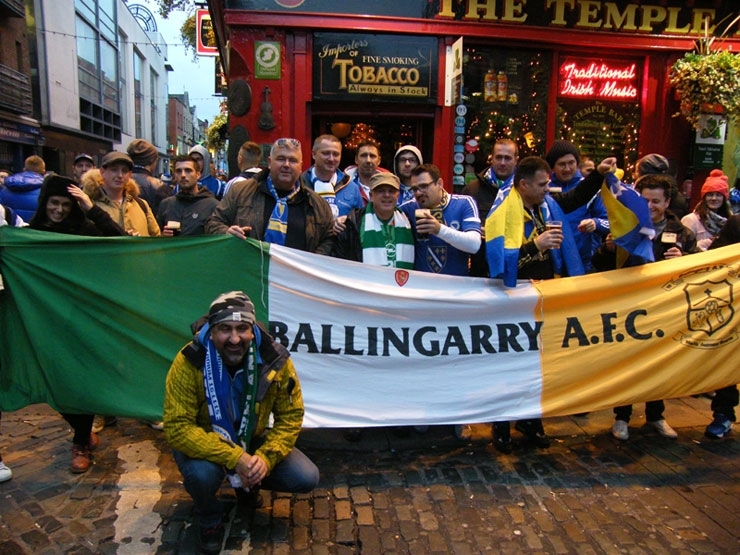 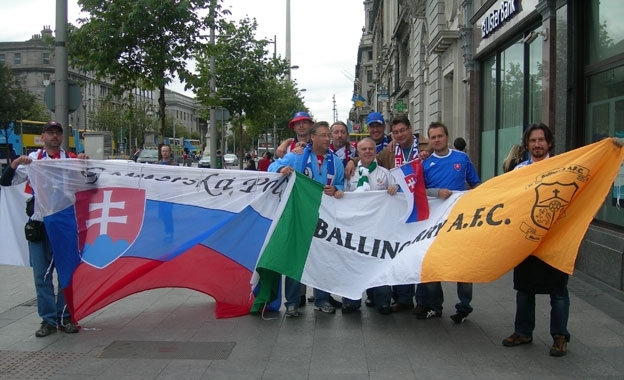 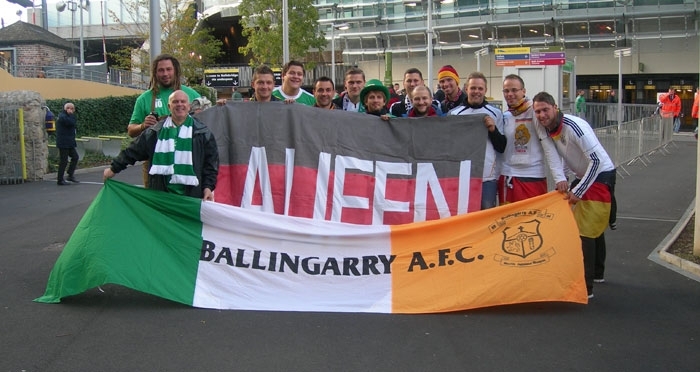 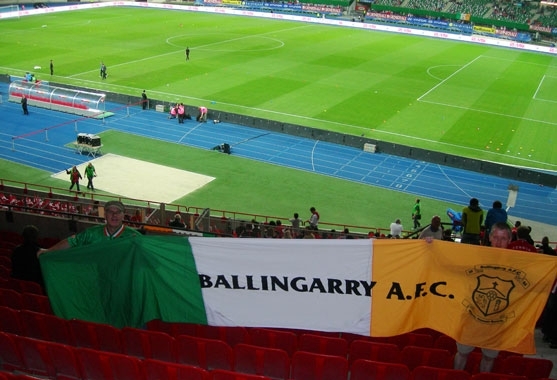 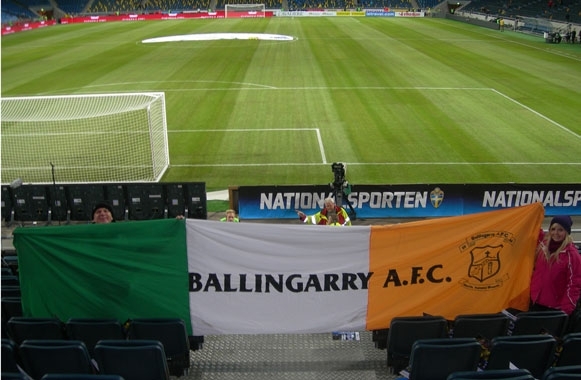 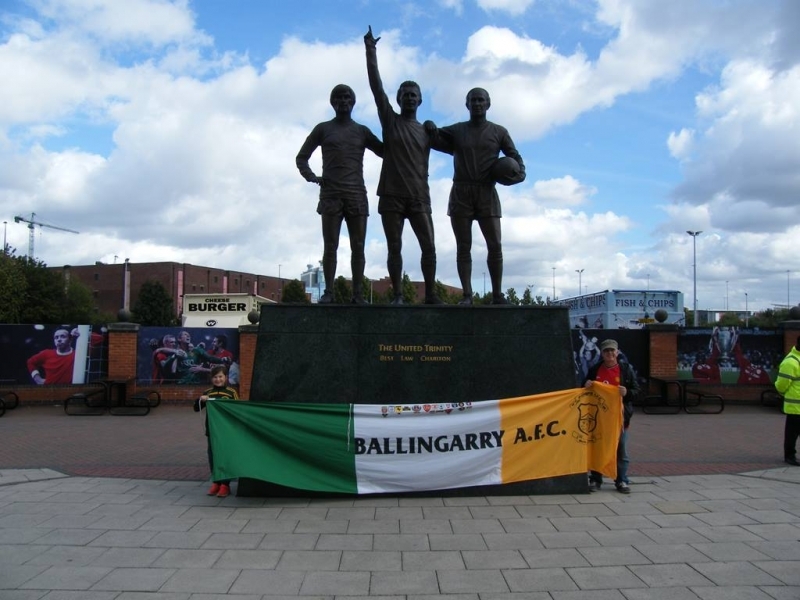 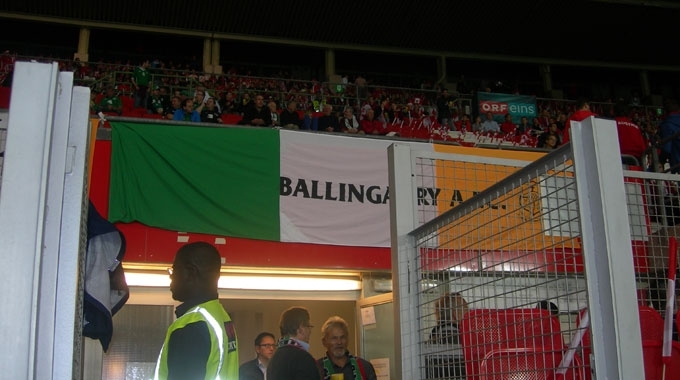 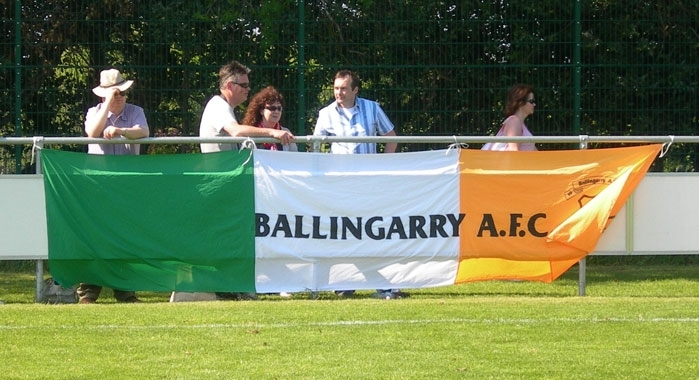 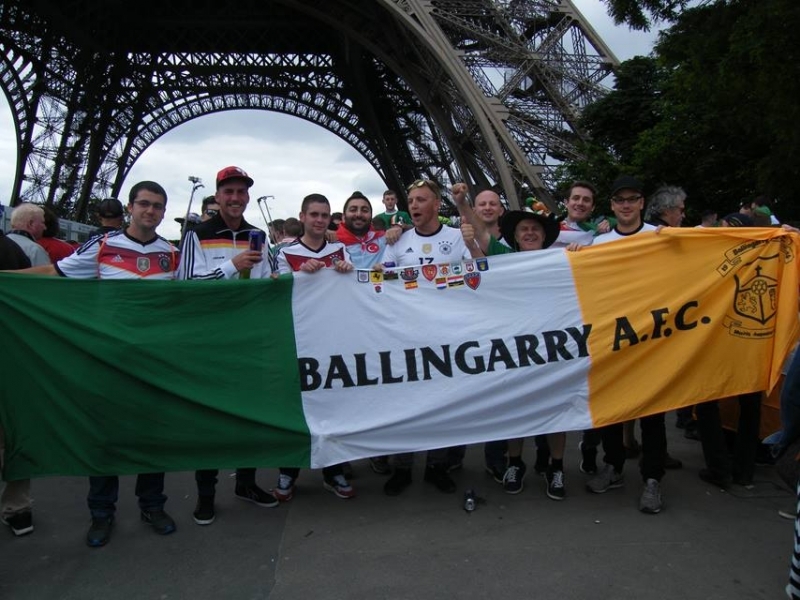 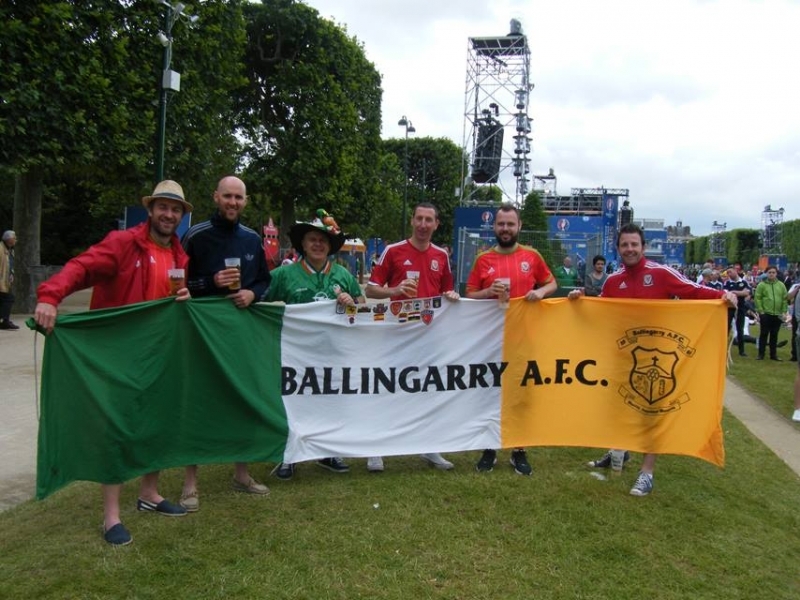 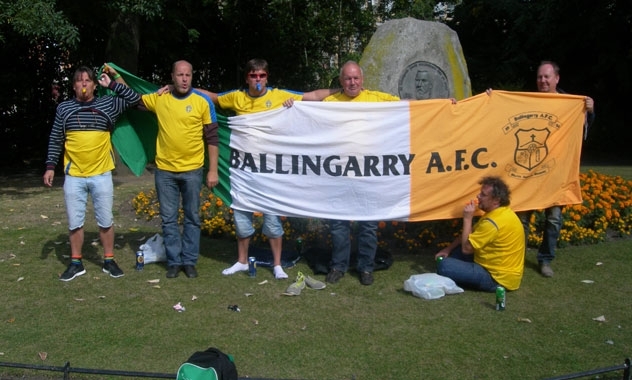 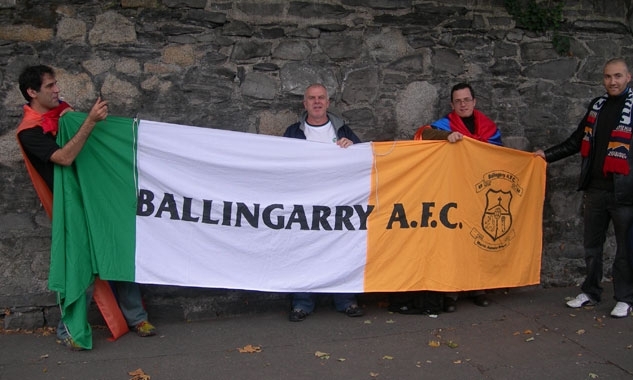 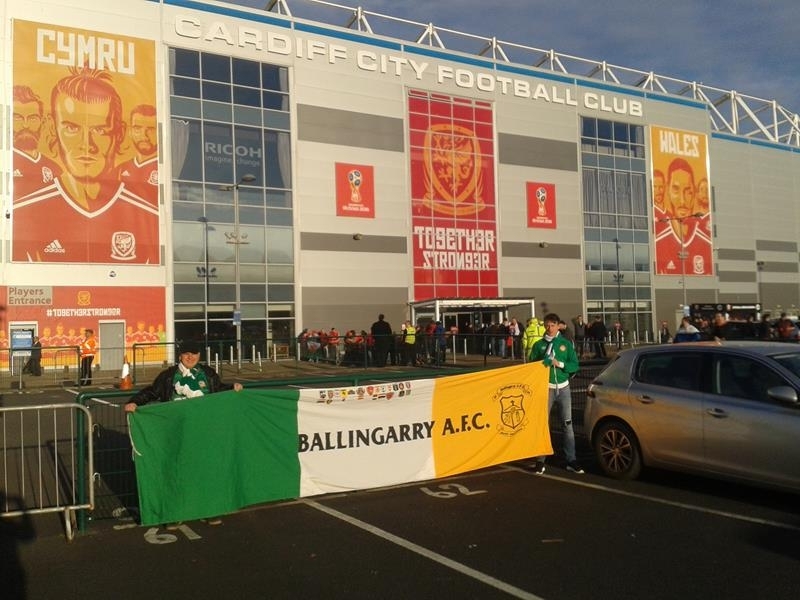 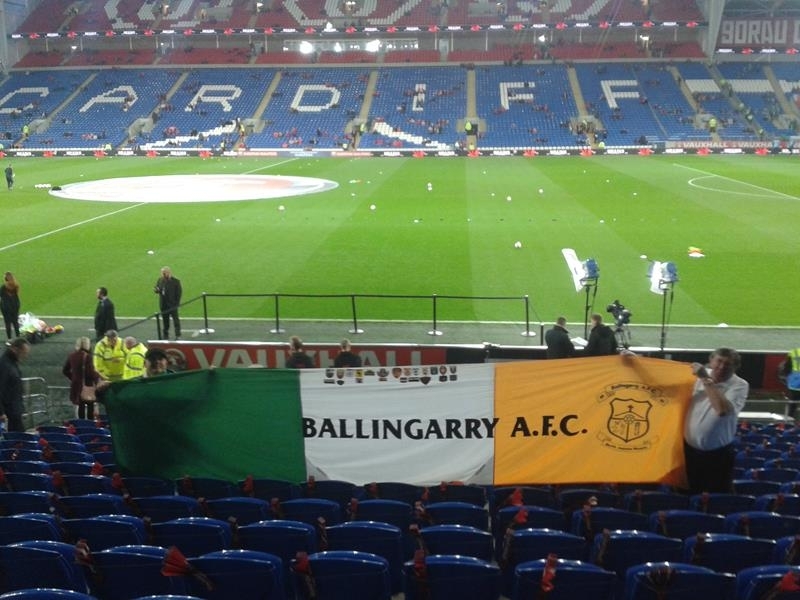 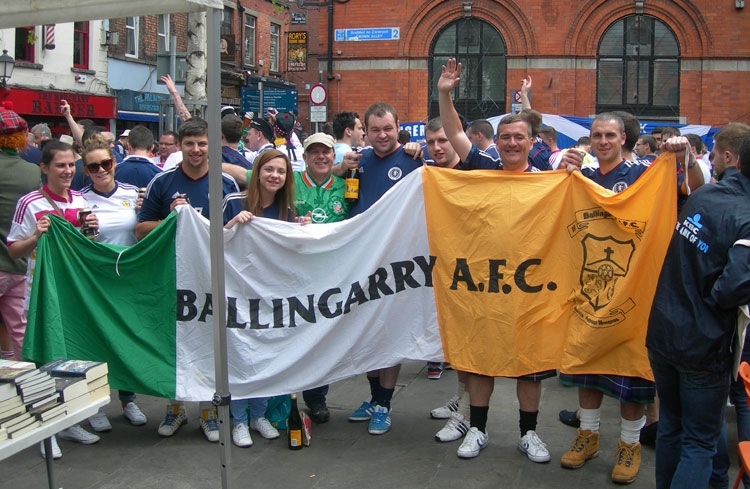 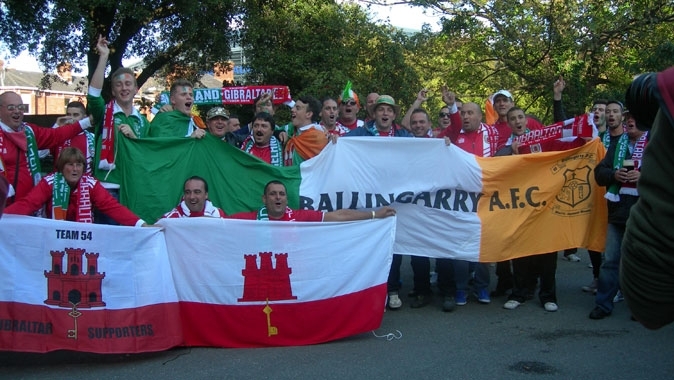 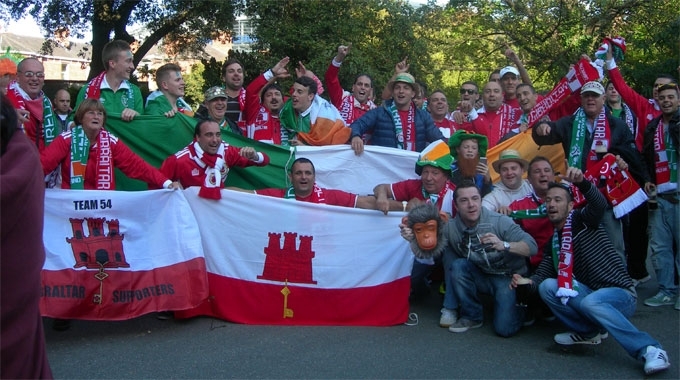 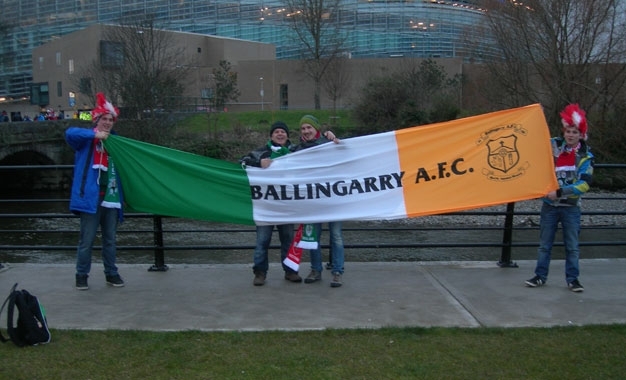 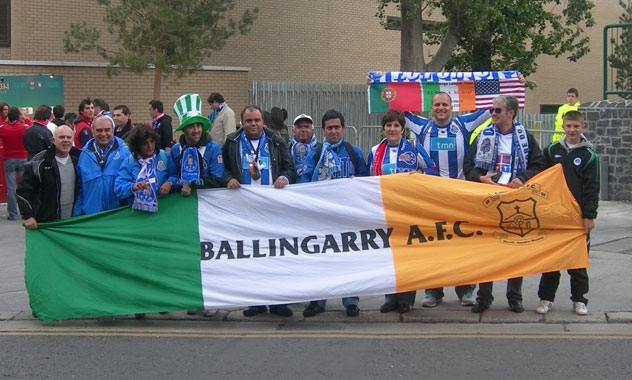 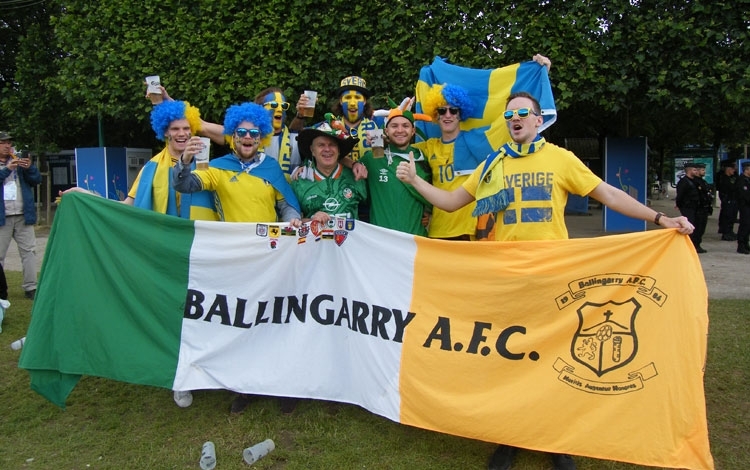 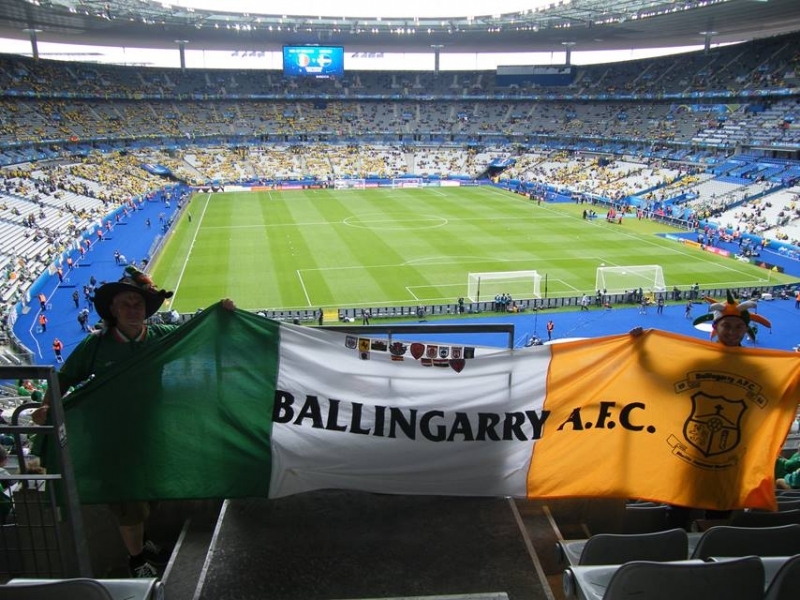 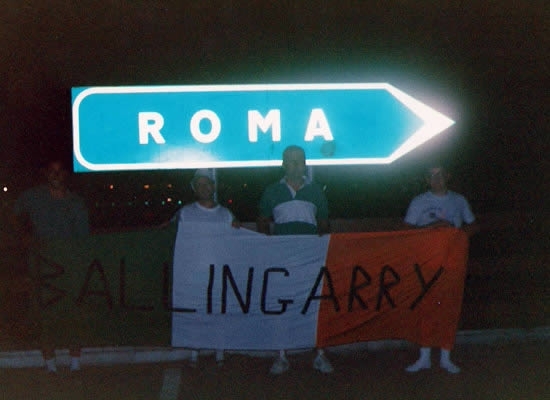 The Ballingarry AFC flag first made its appearance on the World stage during the World Cup in Italy (Italy ’90) in June 1990. 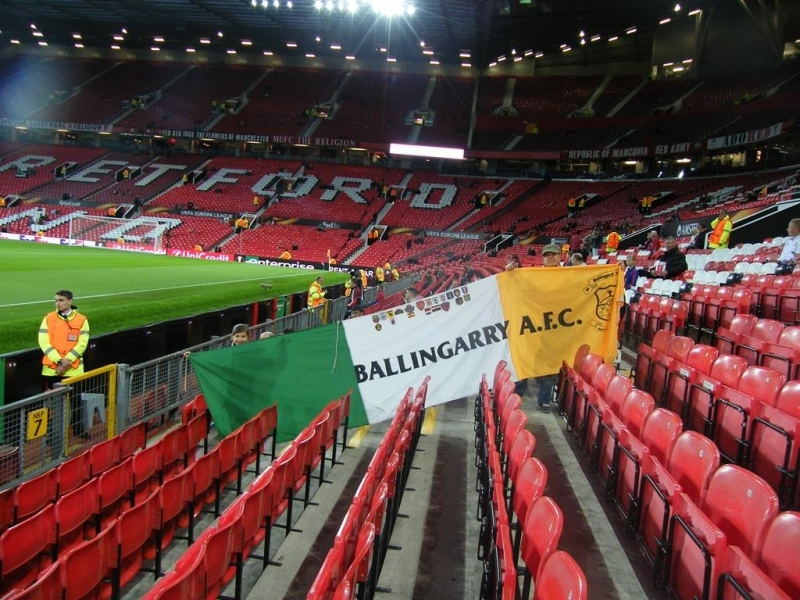 Since then it has graced football games home and away on numerous occasions. 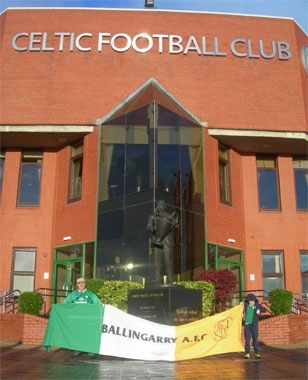 Below are some photos of the flag on its travels.